Using a unique mix of movement, animated video projection and lighting to explore the endless web of connections we encompass and embody. Russell Maliphant Company presented by DanceXchange. 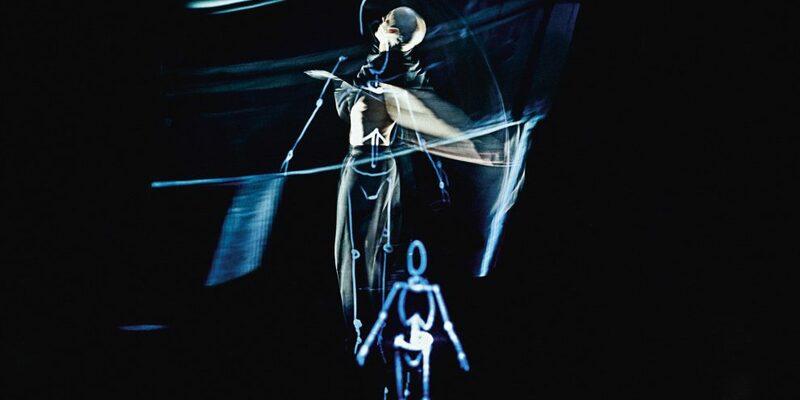 Silent Lines draws upon Maliphant’s research and explorations in dance and anatomy using a unique mix of movement, animated video projection and lighting. Drawing on methodologies from a variety of movement styles and setting these within a world of animated light, Silent Lines explores the endless web of connections we encompass and embody. The Patrick Studio is easily accessible from our Thorp St entrance or from Level 3 inside the theatre. Buy 2 shows in DanceXchange’s season and save 50% on your ticket for the second show. Available by phone or in person only. All tickets must be booked in the same transaction. Discount applies to lowest price ticket.